Shodan is a search engine for finding specific devices, and device types, that exist online. The most popular searches are for things like webcam, linksys, cisco, netgear, SCADA, etc. It works by scanning the entire Internet and parsing the banners that are returned by various devices. Using that information, Shodan can tell you things like what web server (and version) is most popular, or how many anonymous FTP servers exist in a particular location, and what make and model the device may be. 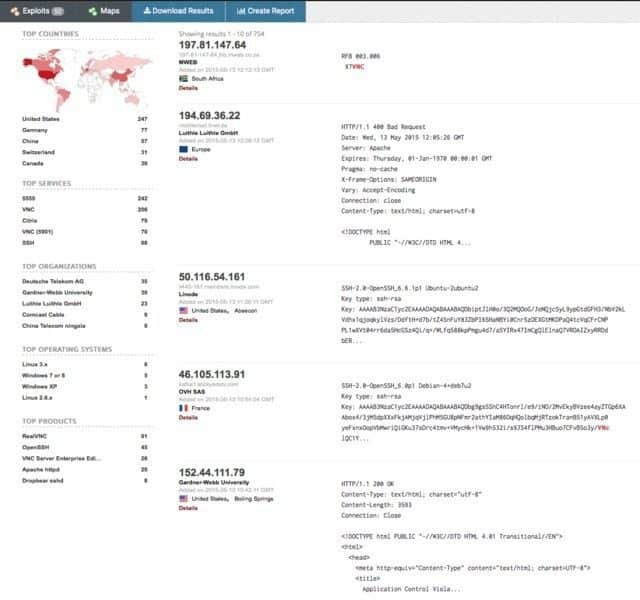 Shodan is of particular use for security research around the Internet of Things, since there will soon be billions of devices online that 1) have specific vulnerabilities that need to be fixed, and 2) can be identified quickly by their banner information. You start by navigating to the main page, and then entering into the search field, like you would any other search engine. For this search, I looked for “VNC”. 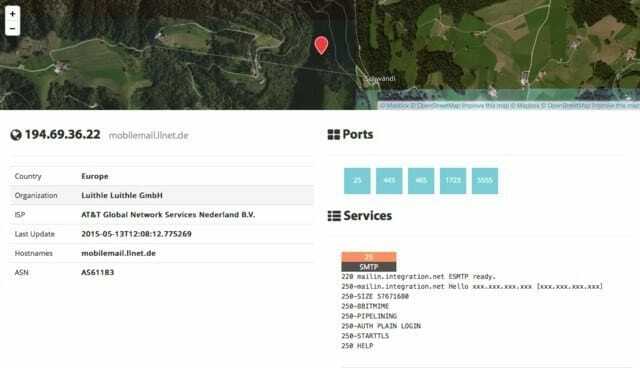 When in details mode for a given host, the URL changes from the search structure to the following: https://www.shodan.io/host/194.69.36.22. Here you see the data about the host on the left, the list of ports that were found at the top right, and then the individual port details and banners from each port as you go down the page. It’s a clean layout. 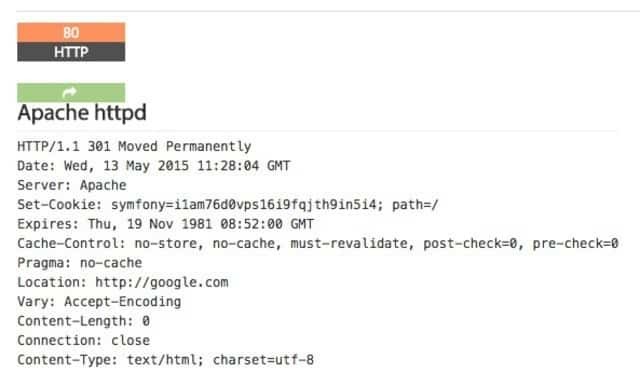 As with any search engine, Shodan works well with basic, single-term searches, but the real power comes with customized queries. You can drop the quotes sometimes, on some queries, but you often need them. I recommend you just use them all the time, because that always works. So you basically have some sort of base search term you’re looking for (shown in orange) and then you narrow down your search using the filters like we see above. It’s interesting. It’s exciting. It’s frightening. The full product name was added in this case by clicking on the product in the left sidebar. Disregard the line break in the query. Here are a few other cool things you can do with the service. Data Export: You can export your results in various formats using the top menu after you’ve performed a search. Browser Search: You can configure your browser to search Shodan when you search from the URL bar. Shodan Free Account: You should create and log in to your free account when you search, as the interface is pretty nerfed if you don’t, e.g. not being able to see host information, etc. Premium Accounts: A premium account is a one-time payment of $45 and it gives you increased access to the API. Full details and docs are available at https://developer.shodan.io. I really love this project, and I hope this short introduction will get you using it as well. This resource is just an intro to what Shodan is and how to do the basics to what Shodan is and how to do the basics. You should also take a look at the help pages which are quite good. The project currently tests for around 200+ services. Shodan uses its own internally developed port scanner, not Nmap or Zmap. The system works off of banners, and banners can be modified, spoofed, and faked. What you see is what’s being presented, not necessarily what is real. 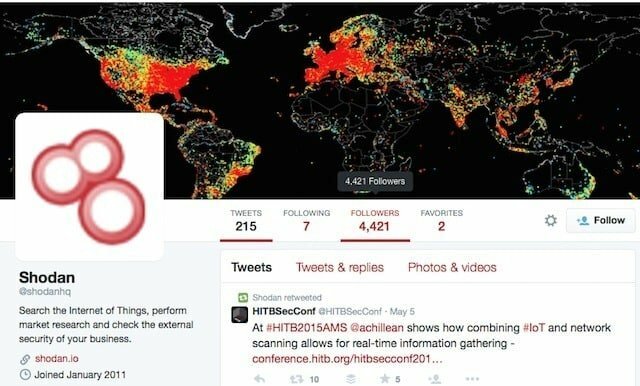 You should also check out the blog at https://blog.shodan.io.